Fresh baked at home bread! It’s Natalie from Costcuisine again! I definitely enjoy trying and reviewing all the bakery items from Costco. 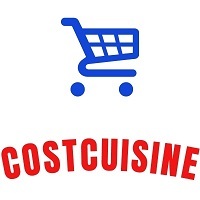 If you want to read reviews on bakery section Costco food products follow me on Instagram or Facebook and also check out my blog Costcuisine where I review tons of Costco food products each week! I’ve seen The Essential Baking Company Cranberry Walnut Loaf at Costco for a while and been intrigued by the concept of pre-made bread that you can bake fresh at your leisure. It seemed like a great way to serve your guests fresh bread if you’re hosting a holiday brunch. I suppose it might work for other meals too, but the cranberry walnut combination seems best suited to breakfast or brunch to me. The Walnut Cranberry Loaf stays warm for quite a while after it’s been baked. It comes out crusty on the outside and dense on the inside, almost like a bagel. It has a slight natural sweetness to it. The bread is mainly a whole wheat bread, but every time you take a bite of cranberry or walnuts, you get a little tart sweetness or a nutty taste as well. I think the flavors in this bread are pretty much what you’d expect; it delivers what it promises (cranberry and walnut), and there aren’t really any extra flavors going on in the background. Thus, for those who don’t want a super sweet bread and are looking for a natural, hearty bread with a little bit of extra sweetness and texture, it should be perfect. If you’re more a fan of cinnamon raisin bread (like the Costco Cinnamon Raisin bagels), you might find the flavors a bit underwhelming. The box seems to suggest that toasting the bread is the best way to enjoy it, and we did like it better toasted than not. The thick slices of toasted bread with a good amount of butter on them were quite tasty and unique. At first, it didn’t strike me as the most versatile bread, but after thinking about it a bit, I think you could do some interesting things with it beyond just toasting and buttering it. I can imagine serving it alongside a turkey dinner or possibly making an interesting sandwich out of it (probably with turkey!). The box suggests brie or goat cheese, oatmeal and honey and vanilla ice cream as good pairing options. I say The Essential Baking Company Cranberry Walnut Loaf is perfect for a special holiday breakfast or brunch because the bread comes half-baked and all you have to do is pop it in the oven for a few minutes and you get freshly baked, warm bread (and some nice aromas in your kitchen as well). You get the best of both worlds with this bread, convenience mixed with a homemade feel. In that sense, this bread is extremely convenient as each loaf is separately vacuum sealed and the best before date is quite far away (so if you can’t see yourself eating three loaves of cranberry walnut bread right away, don’t worry; you can let it sit in your pantry for a while). Obviously baking bread in your oven (even when it comes in a convenient package like this) and slicing it up manually isn’t easy when compared with buying a normal loaf of bread; this product seems to be targeting a very specific niche of people who want a fresh specialty bread, but it serves that niche well. The three pack of cranberry walnut loaves was reasonably-priced at $7.50 Canadian when I bought it (that was on sale). The regular price is $10.99 Canadian. At the regular price, this bread isn’t cheap, but it’s not outrageous and is likely a fair amount less than you’d pay for three similar loaves at your local bakery. I think you’re also paying for the packaging, which is convenient and allows you to bake your own fresh bread at home whenever you feel like it as opposed to having to go out and buy it fresh from the bakery the day you want to serve it. Maybe you also pay a bit for that amazing smell wafting through your house when you bake it too? That’s worth something to me! I actually really appreciate the ingredients in this bread. I can read them all and understand what they are; none seem out of place in a loaf of bread. The bread is non-GMO and uses organic wheat flour. A slice of this bread is not going to break your calorie bank for the day, and it’s fairly low in sugar, fat and sodium. It also contains a decent amount of protein in each slice. In terms of numbers, a whole loaf contains 990 calories, 13.5 grams of fat, 45 grams of sugar and 27 grams of protein. In my opinion, that’s fairly healthy and reasonable for a loaf like this, you don’t need to panic if you eat the entire loaf by yourself over two days (although if you’re gluten-free, doing the keto diet or allergic to nuts, panicking might be reasonable). I loved how easily I was able to make fresh, warm bread at home using the Cranberry Walnut Loaf from The Essential Baking Company. I’ve never made bread at home before, so it was a fun experiment. However, the taste didn’t exactly blow me away or convince me to buy it again. If you love homemade, fresh bread or the cranberry/walnut combo (or better yet both), I would recommend this bread to you. If that sounds like a very specific person/niche to you, I agree; I don’t see this bread as having mass appeal. For most of you, I suspect you’ll agree with me that the smell in your kitchen during baking is the best part. Have you had this bread? What did you think? Would you rather have it with sweet or savory toppings? Much appreciated for the review. Personally, I think the bread looks awful. As far as baking at home, I try not to do this because ovens can be very finicky. I haven’t found any accurate oven thermometers so I refrain from baking at home. Definitely wasn’t my favorite Costco find Leslie! Ovens definitely do range in temperature. 10 minute bake time cookies in my mom’s oven can still be under baked with 15 minute bake time in my oven. The shelf life date on the bread before baking is shocking. How can this sit on the shelf for three months before its baked? Hi Sonja! I totally agree! The packaging says they use some kind of special method to keep it fresh but it definitely seems like too long a time. I agree with Sonja. Only way this can sit on shelf for a long time is the chemicals in it make that happen. We tried this product and hated it. When the loaf cooled off it turned to a rock. We couldn’t get rid of these loaves fast enough. It’s definitely quite crusty on the outside after baking and cooking. Not my favorite find! 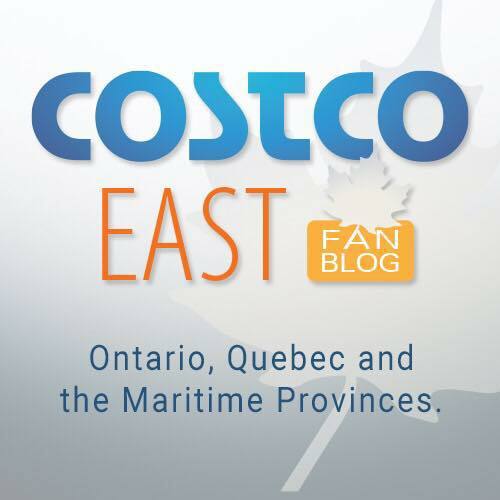 Thanks for your review – I think this is such a great feature of the Costco West Fan Blog site. One thing that came to mind when reading your review was that this would probably make good French toast too – something other than buttered toast. Not sure how well it will hold up after being dipped in egg, but in theory it seems like a good option. Any, thanks again for willing to be the Costco West guinea pig! Hi Quintina! Thanks so much for reading the review! French toast is a good idea, I think it would add some much needed softness and moisture to the bread. That’s a great idea to make festive crackers! I might try this with my other loaves! We tried it baked, ( easy to over bake it). Was quite yummy toasted, topped with butter. Having baked many loaves of bread in the past, I think these are a great deal! No fuss, no muss. I’ve tried their products in the past at Christmas, and have been pleased. I’m happy to have these in my coldroom ready to go in the oven.